Copy of Private Student News: Exciting Job Opportunity! Congratulations to Robin Slawnyk, Jennifer Confalone-Potruff, Brendan Cook, Vanessa Nixon-Klein for being chosen to head up the board of the ANA. In less than 12 hours they have already created a group discussion board, e-mailed each other a few times and been in contact with Mary Light. We are looking forward to more great things from this group in the future and can't wait to see where they take the ANA! We also had our first herbal chat this weekend. Our chat leader was ill and was unable to attend the chat, however, our wonderful students continued the chat on their own and got to know each other a bit better. Since this was the intention of the first chat this is fantastic! Thank you to the students who continued the chat without the chat leader. This is the right thing to do. The main purpose of these chats is to create a place for students to get to know each other and to chat together and share their own expertise, enthusiasm and questions. From time to time something will go wrong and a chat leader will be unable to attend. So be sure to continue without them if this happens. Teachers and/or staff from The Avicenna Institute are sometimes available for these student chats. However, we have our own set of chats that we set up at different times as well. Webinars are different from chats. 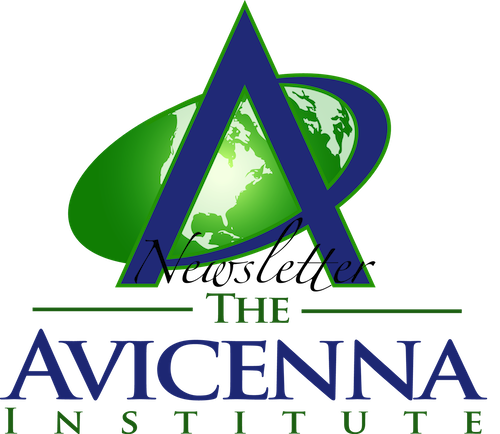 Webinars announced by The Avicenna Institute teachers and staff are your time to chat with teachers from the institute or staff members. These webinars sometimes include a short or long lecture. Let us know if you have any questions, comments or suggestions. We are still looking for student chat leaders. You do NOT need to be an expert in an area to lead a chat. You only need to have an interest in the area. In addition, once the chats get started you are eligible to invite The Avicenna Institute staff and teachers to attend for more specialized chat sessions! Kristie Karima Burns, MH, ND, Ph.D.
Unani Tibb Chat: Wednesday 11 March at 10 pm GMT (UK time). Your coordinator is: Maryline Davis. Please contact her at: enylira@hotmail.com if you have questions or ideas about the time and topic of this next chat or future chats. Herbal Healing Chat: Saturday TBA. Your coordinator is: Jaelene Huffman. Please contact her at: renaissancenh@gmail.com if you have questions or ideas about the time and topic of this next chat or future chats. Aromatherapy Chat: Seeking chat coordinator. Contact us at: CustomerService@TheBEarthInstitute.com if you are interested. You do not need to be an expert to coordinate a chat – you just need to have an interest in the topic. Consulting Chat: Seeking chat coordinator. Contact us at: CustomerService@TheBEarthInstitute.com if you are interested. You do not need to be an expert to coordinate a chat – you just need to have an interest in the topic. Reflexology Chat: Seeking chat coordinator. Contact us at: CustomerService@TheBEarthInstitute.com if you are interested. You do not need to be an expert to coordinate a chat – you just need to have an interest in the topic. Nutritional Healing Chat: Seeking chat coordinator. Contact us at: CustomerService@TheBEarthInstitute.com if you are interested. You do not need to be an expert to coordinate a chat – you just need to have an interest in the topic. Temperament Chat: Seeking chat coordinator. Contact us at: CustomerService@TheBEarthInstitute.com if you are interested. You do not need to be an expert to coordinate a chat – you just need to have an interest in the topic. MP3s for the Herbal Preparation Course are now being upload and will all be online by the end of this week. Check your Master Herbalist Course page to download these MP3s. The following items are ones we are working on in the offices and studios. If you have any requests, find anything missing on the website or have any questions let us know! *Page Numbers: Some courses are missing page numbers. We are adding these as we update the course texts. *Herbal Reference Books: We have a set of eight amazing herbal reference books that will be going online soon. We can't wait to share them with you. They will be a cornerstone in your herbal reference library! *Updated Texts: We continue to update all the texts for the course. We only have four texts left to update! All the texts for the Naturopathic Healing Course will soon be completely updated. We will then move on to updating the Unani Tibb course texts. Thank you for your patience! The NEW Herbal Healing text will be online this week and available in print as well! *More Physical Texts: Physical texts will soon be available for the following classes: Herbal Healing, Reflexology, and Ethical and Legal Consultations. *Individual Class Tutors: These are becoming available for many of the classes. Vanessa Nixon-Klein is our new Aromatherapy Instructor. Please let us know if you are qualified for one of these jobs. We know that many of you are already medical professionals or professionals in an alternative health care field. Of course we would like to consider our students for these positions before we consider outside applicants so please submit your qualifications for the following positions: Instructor/Tutor for: Anatomy, Herbal Healing, Reflexology, Iridology. Consulting, and Homeopathy. A student last week asked about correct citation styles. For turning in your homework we accept any style as long as it is consistent. However, this wonderful online website gives additional guidelines for professional use. If you are blogging or writing articles about natural healing for public use you will want to reference this website HERE. Do you have a natural healing blog post, story or tip you would like to share? Send it to: CustomerService@TheBEarthInstitute.com and we will include it in the next newsletter with your name, website and contact information. Please make sure you have filled out your student registration form. This form is very important as it is required to keep our institute up to standard. Part of the standard required of all universities, colleges and institutes is that they keep regular records on all students. We cannot do that if you don't fill out your student registration form. Please help us represent you in the best way possible by filling yours out HERE. If you need resources to help you with your professional work or your assignments don't forget the student resource page. We just updated it two weeks ago with some great new herbal databases and other resources for you! You can link to it HERE. Connect with other students who are taking the classes, get tips from students and staff on how to start your classes or stay inspired and more at our student forum HERE. You can also e-mail us at: CustomerService@TheBEarthInstitute.com any time with questions about your classes or materials. Need the Latest Welcome Letter? If you are a student that enrolled before April 2014 you may want to look at the new welcome letter and make sure you are up to date with any changes HERE. Would You Like to Be a Mentor? 1. You have been part of this program for more than two years and would like to help guide new students through the process. 2. You are an aromatherapist, reflexologist, herbalist, massage therapist, or other natural health care professional. 4. You run a clinic or are a member of a clinic that would be open to having an assistant help (even with tasks like filing records or transcribing). 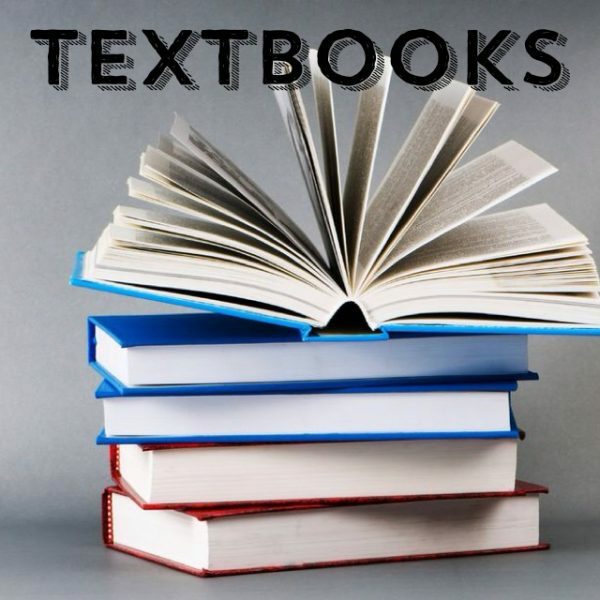 If you enrolled as a student before December 1, 2013 physical text books were not available and did not come with the classes. Now that physical text books are being offered you don't have to miss out. You can still order them by clicking on the textbook picture to the left. Due to travel textbook orders were delayed from a couple weeks ago. If you ordered a text book in the past two weeks you should be receiving it in about 7-10 days. January 11, 2015: Student News: New Texts! September 30, 2014: Student News: Congratulations! February 15, 2014 - Calling All Practitioners and Students Selling Natural Healing Items! January 30, 2014 - Announcing Our NEW Student Newsletter! Important! Tips to Avoid "File Frustration"
* Remember you can always text us for immediate help. We can even send you file links by text. * We have set up everything on the site to be easy. If it is not something is wrong. Check the forum or text us to check for "known issues". It's sort of like calling my Internet company when the line is down. They always have an announcement on there if there is a "known issue" so that saves me time trying to figure out what is (not really wrong) with my modem. * Be sure to check the forum. We made an announcement earlier today about the issue but a few people had not checked so they e-mailed us and were confused. * Be sure to post for help on the forum. There is always someone on the forum and you will always get the quickest response there. If you e-mail us it may take up to half a day for a response to urgent issues and up to three days for a response to non-urgent e-mails. * Be sure to use the help pages. * When possible download files to your own computer or device for quick retrieval. The system we use is only intended as a "delivery system" anyway so to see the files correctly you have to download them anyway. The website was "down" for a few hours last week twice. We have had a webmaster working to fix the issues. At the same time he is working to make your experience better, as always! Keep in mind that if the website ever goes down or you experience any urgent issues the best ways to contact us quickly are: Facebook Instant Messenger and/or Text at: (571) 327-8495. If you contact us as soon as you see an issue we can usually solve it in under ten minutes. **Our old website required you renew access, with the new website you can request access without ever paying to renew that access – even if you want to access lessons you purchased ten years ago! If you received an automated message from our old website asking you to renew please delete that message and ignore it. There is also one exception to this rule – if you are one of the ten people who purchased year memberships during the short period of time we offered them please contact us for access options at: CustomerService@TheBEarthInstitute.com - you still have access to many of your materials!